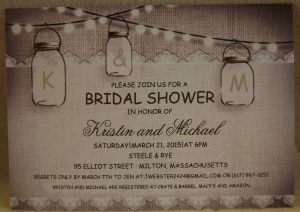 Custom Baby and Bridal Shower invitations are a great way to invite your guests to the special day. 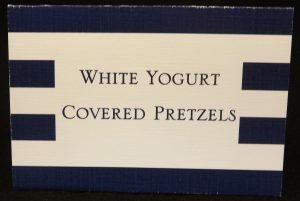 We can create these to match the theme of the event or design a shower invitation that is totally unique. Envelope Addressing is a beautiful way to finish off your wedding invitation ensemble. 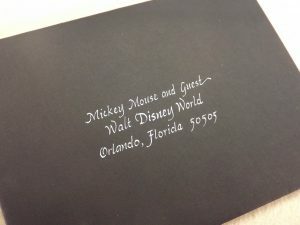 We offer envelope addressing by machine or with hand calligraphy by our own J.R.Rosen Studio, our in-house hand calligrapher. 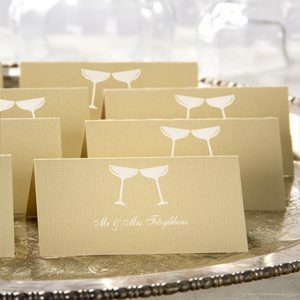 Place cards are necessary so that your guests know where they are sitting during your reception. 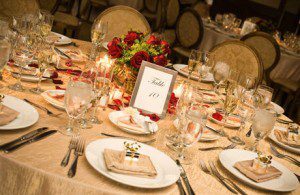 The design of your place cards can be very simple or they can be customized to reflect the theme and tone of your wedding. 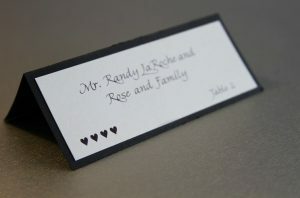 Font styles and colors can also match your invitations to keep everything consistent. Invite your guests to enjoy your special dining choices with class by setting your tables with expertly crafted menu’s. A nice accent piece to the table arrangements at your reception. They can be created to match your invitation design, color or theme. 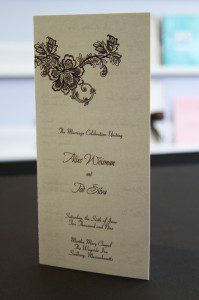 Show off your elegance with a perfectly symbiotic program from Emerald Invitations! We provide you with a level of service to make you feel like you’re our only client. For more than 33 years, we’ve prided ourselves on delivering high-quality, custom, foil printed accessories and exceptional customer service to accompany any celebration or special event you may have. 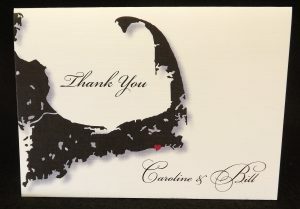 What a better way to acknowledge your guests from your wedding or event than with personal note cards. We’ll customize these for you with your names, a monogram or a photo or two. We will also match these to your all your other wedding items if you prefer. Our other services include Do Not Disturb Signs or Door Hangers, Water Bottle Labels, Donation Signs, Signature Drink Signs. Pretty much anything you could possibly need.